13 Thus great wrath came from the LORD of hosts. Therefore it happened, that just as He proclaimed and they would not hear, so they called out and I would not listen, says the LORD of hosts, (Zachariah 7:11-13). This is the heart of the churches in America today. You have been warned, yet you refuse to listen. You’d rather listen to the flattering words of false prophets and teachers who spoon feed you honey, laced with poison. Then you devour the true Prophets who cry out for your souls. You’ve become stiff-necked and hard-hearted. You make excuses for your sin and refuse to face it by proclaiming that God is love, and love is not “harsh”, yet you are blind led by the blind. America will fall so the Beast system can be implemented. We are not living in the time of Jonah, and this is not Nineveh. We are living in the last days; we are at the end of the age. Jesus told us that the last days would be that of Noah and Lot, not Jonah! Noah and Lot were both spared because they were found righteous, but judgment still came! You have been warned. No man or woman, president, king, or priest can change Bible prophecy. The Antichrist is here, and in the works. The only message left is to REPENT for the Kingdom of Heaven is at hand! Get your house in order! Wash your robes, purify your hearts, and fill your lamps. The Bridegroom Cometh! I just want to put here something that the Lord gave me last August as a confirming word. Thank you Mena Lee for speaking truth! Men will say that the crash of the financial markets are over but I AM the LORD of All and I say all who rely on money will see it slip through their hands like the sands of the sea. Oh cry out to Me , fall on your knees and I will hear and come and save you to the uttermost. This financial system will not stand ,it is a house of cards and it is beginning to fall. DO NOT put your trust in it . Put your trust in I AM ! I pave the streets with gold it is like asphalt to Me. One day you will see for yourself the cattle on a thousand hills spoken of in My word. There is nothing too hard for Me. I will provide for My faithful children just Believe and Have Faith ! I will not let you down. Do not be a part of the new system that The Enemy will reveal. I will make a way where there seems to be no way. Bow your knee to Me and you will never have any lack. Jeff, it was interesting that you posted this last year in August. I was praying that same month about a financial opportunity my husband and I were offered. We felt led to do it but I had a vision in which I saw a stack of cards with not much stability. It was kind of like I shouldn’t put my trust in it but we still didn’t feel like God was saying not to continue. This past month I was thinking that the opportunity had given us a nice added income stream so the “unstable stack of cards” vision still seemed odd but of course it is all in USD! God is just trying to show me that I need to hold very loosely to the things of this world. At some point the stack of cards is going to topple over. In the mean time, I am just using those “cards” to pay the much needed bills and in this case it was for college tuition for my daughter. God provides. We need to be open to all the ways in which He chooses to do so, and let go of the things He tells us to. Amen! Turn your eyes upon Jesus. Look full in His wonderful Face, and the things of this wirld will grow strangely dim in the light of His glory and grace. Thank you for sharing this TRUE prophetic Word. We have past the point of no return regarding judgement here in the United States. 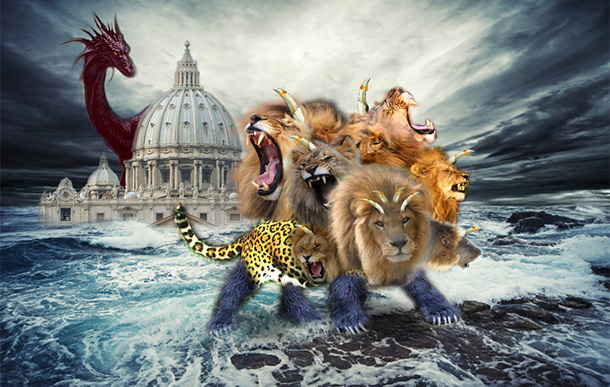 We ARE “Mystery Babylon” (Revelation 17 & 18). We have THE antichrist residing in the White House (Obama). To continue to live in a delusional state of “all will be well if. . ” is rejecting the truth as revealed by the Holy Spirit. Right now, we can and must seek the Holy Spirit individually, to be sure we are in the LORD’s will and have a clean heart before our Holy God. We can also continue to pray for MERCY during the judgment that is already happening. We need to also remember if we truly are believers and followers of Jesus Christ (Yahshua), our citizenship is in Heaven and NOWHERE on this planet. So, to continue clinging to this life, this country, our stuff, etc., is like clinging to an outhouse and trying to decorate it, because this is a fallen sinful world . . .we ARE in the last days and we ARE living in the generation where “The Day of the LORD” will happen. August will be a month of great turmoil in this nation like a tempest upon the sea. Focus upon the glory, stand in awe before your God, fear not, worship full of the Holy Spirit and in truth. We have been prepared for this by our Abba. Blessings, Mena for your faithfulness and steadfastness. Savedjon.,I can emphasize with most of your comments. We as the church have not been what we were called to be/to do….lukewarm pew sitters…some of us….not all…I believe that we (some of us were under training etc.Some of us were being spit out by our leadership/brethren for nothe keeping silenced and walking status quo….Now maybe we are yelling out judgement, judgement because we have churches,family,friends who are still picking cherries off of the tree….denying any judgement is here.We are trying to prepare them as to not be in shock as to when $!#@..I can say I am not looking forward to any of this (judgement ). MY DEAR BROTHER,some things are inevitable. …..you can’t kick against the pricks…We are trying to grow up quickly….I have family and people I long for to just wake up.AM I walking in the fullness yet NO.I am seeking God daily with all that is within me…. I don’t think that a vote for the next president is going to automatically fix the problems and moral decay that took decades to get to this point. I do know that if Hilary gets into office as the president her polices and world view will accelerate the devils scheme. Yes judgment is coming to America but I know Gods heart and He is patient with us not wanting anyone to perish but everyone to come to repentance. It’s like two lifelong lovers that are breaking up and one of them loves the other so much that as he walks away he’s looking back to see if there is any visible sign of remorse or regret of their decision. If he sees any sign in the others face that there could be even the slightest possibility of reconciliation he would turn back in an instant. Judgement is coming either way…its scriptural. Wouldn’t it be nice if the Church rises up and revival breaks through in the land and Gods Judgment is postponed another 10 years or so? With men some thinks are impossible but with God aren’t all things possible? Many Christian’s didn’t vote for Obama outright, but Romney wasn’t Christian enough for their vote and many didn’t vote for Romney. In essence that was a vote for Obama. The absence of the Christian / Evangelical vote helped re-elect The Muslim in the White House. This is a really thought provoking response and one that I share a lot of similar concerns and questions. I know that The Lord has lead me to two different resources. One is Kevin Basconi and two books he wrote by instruction of the Holy Spirit called “the sword of The Lord and the rest of God” and “angels in the realms of Heaven”. He also has a lot of free messages on his ministry website. The other person is Nancy Coen. You can check out a few videos on YouTube. She is an example of what The Lord is releasing in His People now in the midst of the darkness. Yes there are incomprehensible times coming upon the earth but there is much hope and there is also a place where as believers we are to rise up and shine demonstrating the Kingdom of Heaven. Hello Casey, this is Mark Kuntz. How are you doing Amigo? I have read Basconi’s book. Great read! I also recommend Rick Joyner’s, The Call and The Final Quest. I have believed for 20+ years , it is the destruction of America that causes the fear & chaos needed for the world to follow the Anti-Christ and according to Dumitru Duduman the Christians are still here for WW3 . Straight talk right on point. To God be the Glory! God bless you Mena, thank you for being a watcher and proclaiming His warning to us. draw me ever close. It’s not my might but by your Spirit ! Mena you are right………the only message left is “repent.” Time for warning of consequences for sin is over. Even so. Come Lord Jesus.